Narrates the 110 years of a company animated by the capabilities of a great family from Italian industry, and the legacy of that visionary design project continuing today and projected into the future. 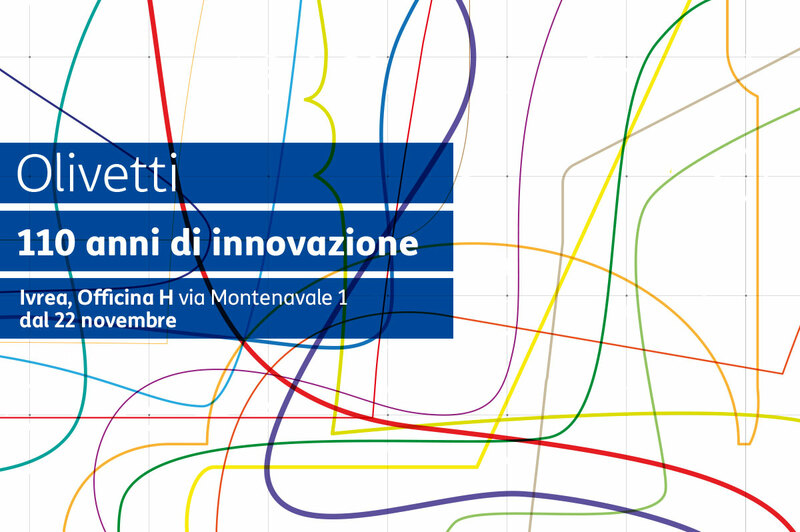 This is central theme behind the “Olivetti 110 years of innovation” exhibition opening today at Officina H in Ivrea, sponsored by the Municipality of Ivrea in partnership with the Olivetti Historical Archive Association and the Adriano Olivetti Foundation, which remains open to the public until 27 January 2019. The exhibition celebrates the 110th anniversary of the birth of Olivetti and the recent recognition the city of Ivrea received from UNESCO – a social reference model for the modern approach to the relationship between industry and architecture developed during the last century from the 1930s to the 1960s. The exhibition itinerary is composed of a number of defining elements which had the power to make the history of Olivetti unique, now digital hub of the TIM Group. In fact, it is possible to admire a rich selection of some of the most innovative posters of company production, a collection of publicity posters by Giovanni Pintori and other artists from the late 50s to the early 60s, not to mention a large collection of exceptional photographs. The visionary capacity characterising the history of Olivetti finds expression in iconic products such as the much acclaimed “Lettera22” typewriter released in 1950 and the “Valentina” designed in 1968 - to mention just a few of the items on show. An excursus that brings us to the digital world of today with the web-connected Form 200 cash register, the first tangible outcome of the Olivetti Design Contest promoted by the company and attracting students from the most prestigious European design institutes. “Olivetti has been a groundbreaker in Italian industrial history and continues to focus on its unwaivering capacity for innovation. This exhibition aims to demonstrate the common thread linking past, present and future of the company” announces Antonio Cirillo, Olivetti Chief Executive Officer. “Innovation but without forgetting the great lessons of the past, this has been the spirit and conviction with which we have worked on the itinerary to celebrate the 110 years of an exceptional unique company history. This represents our identity, our roots, that have finally received recognition today as part of the World Heritage. For a future indelibly marked by Adriano Olivetti”, states Beniamino de Liguori of the Adriano Olivetti Foundation.